One day chef is the cooking school for tourists in Rome. We do Italian cuisine courses, in which we teach traditional dishes of Italian and Roman food: pasta, pizza, seconds, desserts. Our culinary school was created with these purpose: helping people on making their own Italian meal individually and really hands on; so We set up our facility to small groups, even just couples, on individual work stations with cooktops. Segway Tejo Lisbona offers guided tours by local guides with an in-depth knowledge of the history, culture, art and architecture of Lisbon and Portugal. Don’t expect a conventional guide with prefabricated discourses. Get ready to be surprised and to share experiences! Pure driving pleasure or with culture? Safety in their tours and good training to drive a Segway are important to Eco4Drive! And that is one of the many reasons we’re proud to be their partner. Walk, bus or boat around Washington, D.C. with DC tours by foot and their vast selection of fun tours of the capitol. Heading to Vienna, Graz or Warsaw? Love Polaroid cameras? (We do!) You have got to try these “instant” tours that mix iconic polaroids with the iconic sights of these cities. Celebrate your love for Segway tours in the city of love! Our buddies at GoGo Tours in Paris have a great selection of private Segway tours at group tour prices. Experience a touch of modern fun in the place where Democracy, Philosophy, Theater and Arts were born! Our friends over in Athens will help you explore the city’s rich history. Heading to Holland? 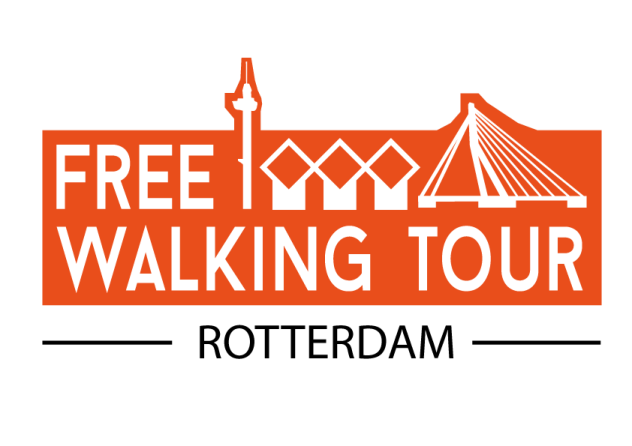 If you want to know more about Rotterdam you must take this Free walking tour with a true Rotterdammer! Our uniform sponsor and newest partner needs no introduction: GAP clothing store. 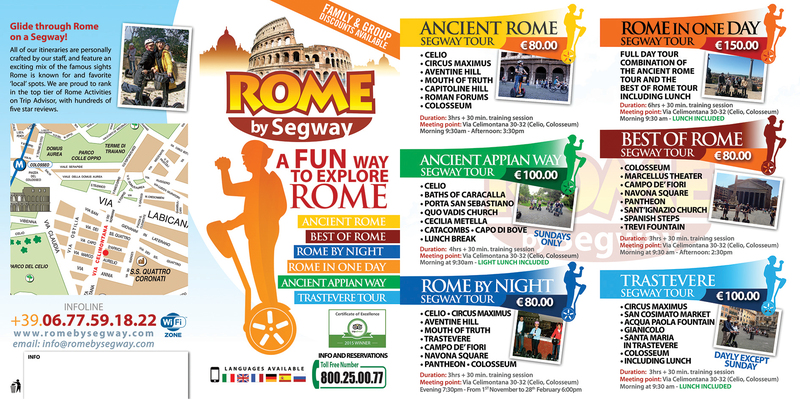 GAP customers get 20% off any full price tour with Rome by Segway & EcoArt. Plus, book any tour with us and you’ll receive a free GAP shopping bag and 40% off a single full price item at GAP’s flagship store in Rome. A pretty sweet deal, we say! We’re big believers in trusted sources for unbiased reviews, so we were thrilled to be listed on Yelp and to begin receiving comments from our guests! We ask every one of our guests to leave us a kind (and honest!) review on TripAdvisor when they return home. We guess it worked! We are proud to boast over 1,500 reviews and a 95% 5-star review rating. Wow. Viator is the world’s most trusted brands for booking tours & activities globally. 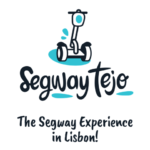 We’re proud to have our Segway tours listed and consistently reviewed with 5 stars. Bet you didn’t know, but Expedia offers so much more than just hotels & flights. Yup, you guessed it, you’ll find our Segway tours listed here too! Our German friends will recognize this brand, which has transformed over time into a worldwide marketplace for searching for the best tours & activities money can buy (ours!). GetYourGuide also features authenticated reviews, and we’re proud to boast 5 stars here too. We are proud to welcome on board our latest partner, GTA / Kuoni Travel Group. 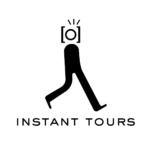 They’ve been in the business for 40+ years and bring our tours to Travel Agencies worldwide. Design, comfort and a superlative location are the strongest points of St. Peter Sweets; four apartments created with the loving attention usually reserved to the most valuable things. Traditional roman plates and fast & friendly service at Naumachia Rome – just down the street from our office. 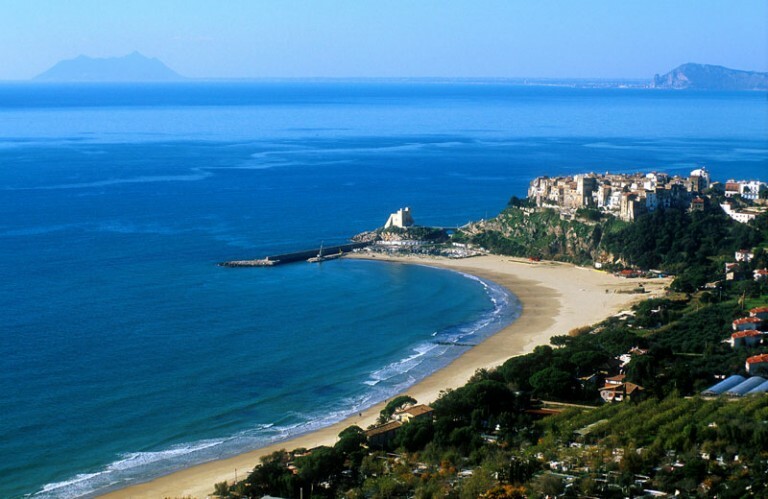 The best outlet mall less than 30 minutes from Rome’s center. Find your favorite Italian & international brands at incredible prices. Planning on exploring Trastevere? Stop in at our friends at Alembic and revel in the artistic atmosphere with a cocktail in hand.